The arrival of over one million asylum seekers and migrants to Europe in 2015 exposed serious flaws in the EU’s asylum system. Parliament has been working on proposals to create a fairer, more effective European asylum policy. Below you will find all the relevant data about the migrant crisis in Europe, who migrants are, what the EU is doing to get to grips with the situation, and what financial implications there have been. Definitions: What is a refugee? What is an asylum-seeker? Asylum seekers are people who make a formal request for asylum in another country because they fear their life is at risk in their home country. Refugees are people with a well-founded fear of persecution for reasons of race, religion, nationality, politics or membership of a particular social group who have been accepted and recognised as such in their host country. In the EU, the qualification directive sets guidelines for assigning international protection to those who need it. Currently third-country nationals must apply for protection in the first EU country they enter. Filing a claim means that they become asylum applicants (or asylum seekers). They receive refugee status or a different form of international protection only once a positive decision has been made by national authorities. In 2017, there were 728,470 applications for international protection in the EU. This figure represents a decrease of 44% compared to 2016, when there were almost 1.3 million applications. In 2017, EU countries granted protection to more than 538,000 people, down by almost 25% on 2016. Almost one in three of these were from Syria while Afghanistan and Iraq rounded up the top three. Of the 175,800 Syrian citizens granted international protection in the EU, more than 70% received it in Germany. The European Border and Coast Guard Agency collects data on illegal crossings of the EU's external borders registered by national authorities. In 2015 and 2016, more than 2.3 million illegal crossings were detected. In 2017, the total number of illegal border-crossings into the EU dropped to 204,700, its lowest level in four years. One person can go through a border more than once, so the number of people coming to Europe is lower, nevertheless, member states have been under an enormous amount of pressure. 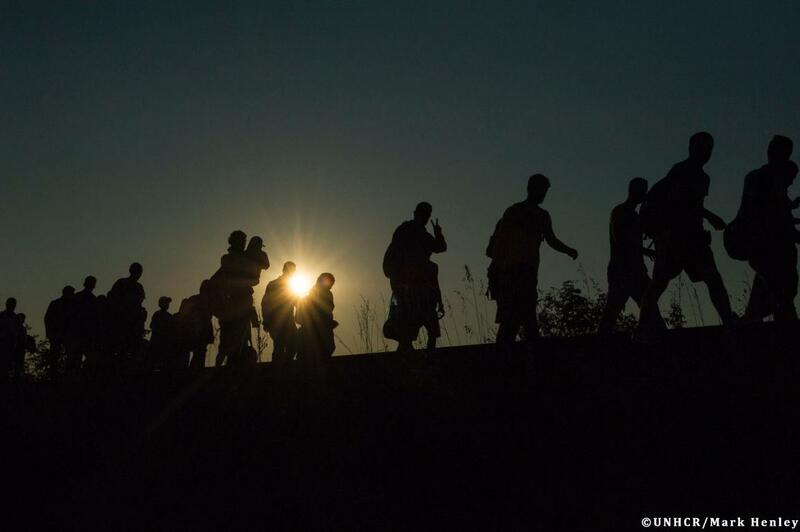 In 2017, 439,505 people were denied entry at the EU’s external borders. As of 26 June, more than 43,000 people have risked their lives reaching Europe by sea so far in 2018, with over 1,000 feared to have drowned.172,300 people reached Europe by sea in 2017, less than half those in 2016. The Mediterranean crossing remained deadly however, with 3,139 dead or missing in 2017, compared to 5,096 in 2016. In 2015, 2.2 million people were found to be illegally present in the EU. By 2017, the number had dropped to just over 600,000. “Being illegally present” can mean a person failed to register properly or left the member state responsible for processing their asylum claim - this is not, on its own, grounds for sending them away from the EU. Migration has been an EU priority for years. Several measures have been taken to manage the crisis as well as to improve the asylum system. According to the results of a Eurobarometer poll released in May 2018, 72% of Europeans want the EU to do more when it comes to immigration. The EU significantly increased its funding for migration, asylum and integration policies in the wake of the increased inflow of asylum seekers in 2015. In the forthcoming negotiations on the EU’s post-2020 budget, Parliament will call for additional funding for migration. According to the UN Refugee Agency, an average of 44,000 people were forced to flee their homes every day in 2017. The countries hosting the largest number of refugees are Turkey, Pakistan, Uganda, Lebanon, Iran and Germany. 85% of the world’s refugees are hosted by developing regions.